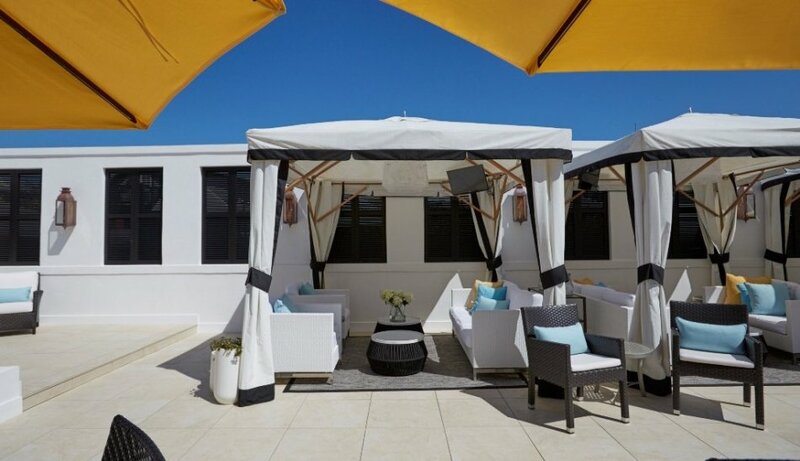 Finally an alternative to heavy concrete pavers for patios, pool decks, balconies and roof decks utilizing hard wearing durable porcelain stonewear. Porcelain as you may know is impervious to water and resists fading, cracking, or general wear and tear even in commercial environments. Porcelain pavers are a great way to obtain the stone look or wood look without using actual stone or wood. 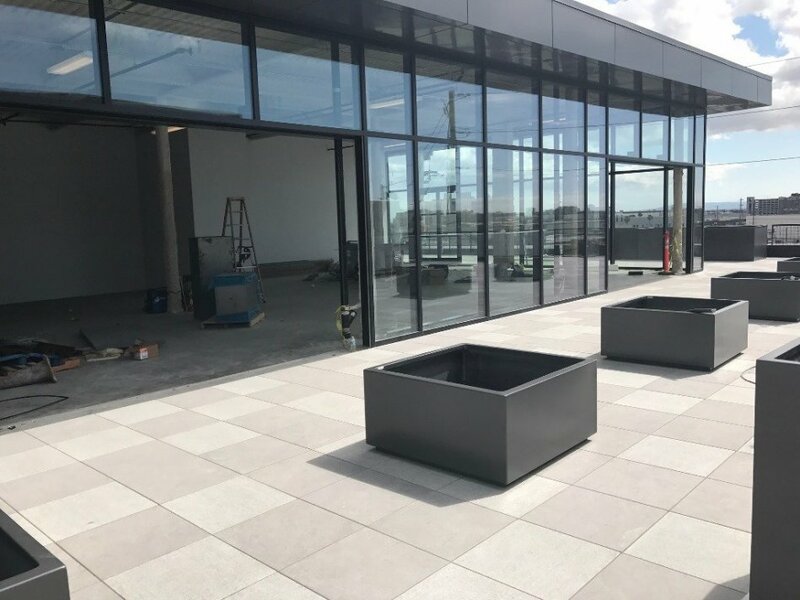 Porcelain pavers have taken our outdoor flooring world by storm being the perfect fit for elevated roof decks and ground level patios. With a unique outdoor slip resistant texture that exceeds R11 standards and large format paver sizes up to 32 square feet. 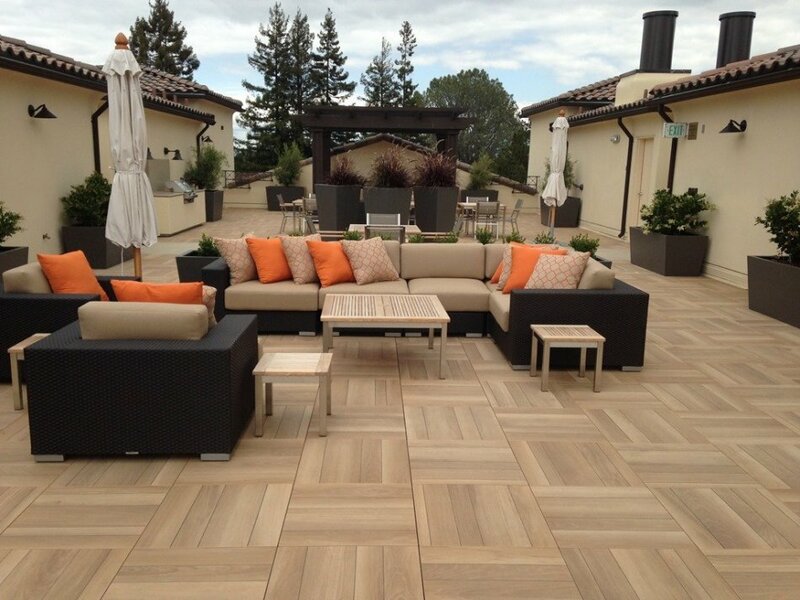 Our line of in stock porcelain pavers will help you create the outdoor floor of your dreams. 2CM porcelain pavers use recycled glass content and are so dense it carries a .08 water absorbtion. With a zero water absorbtion the surface textrure and color will never wear down. With this combination of durability, structural porcelain pavers will last the test of time for any outdfoor application. 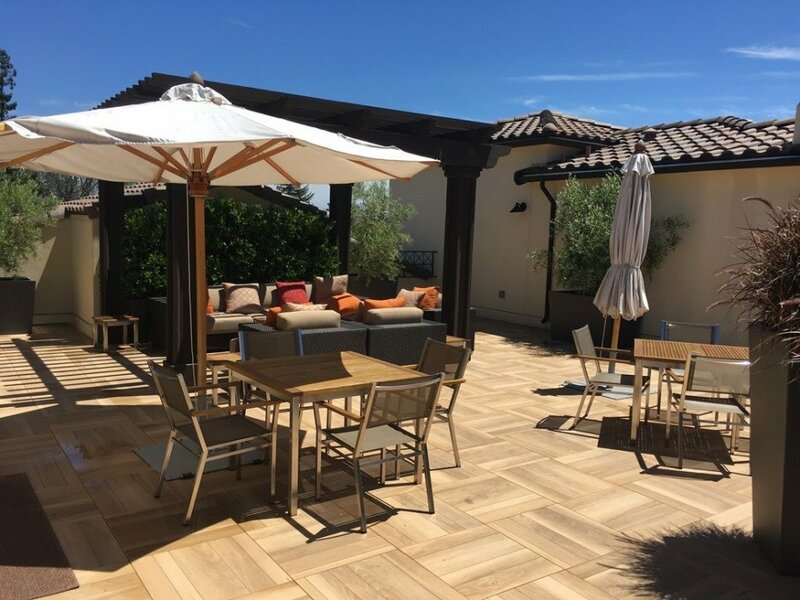 Eco Arbor Designs has coordinated with some of the most popular Italian ceramic tile manufacturers to create the most complete line of outdoor porcelain pavers stocked in the USA. Not all porcelain pavers are the same by trial and error we have found the highest quality porcelain pavers for the best pricing. Our selection includes some of best manufacturers from Italy, China and Spain to provide a porcelain paver product that is the best one can find for the price. We carry a large stocking inventory of 2CM pavers in our east and west coast warehouse locations. This allows us to deliver the best quality for the right price without long lead times. Our in house designers have hand picked the best colors, textures and sizes to fit every decor, we are sure you will find working with us, an advantage for your outdoor projects. We believe here at Eco Arbor that STYLE and PERFORMANCE have no limits to your designs and we will make sure they fit your budget. (1.11 kN)/ Individual  225 lbf. 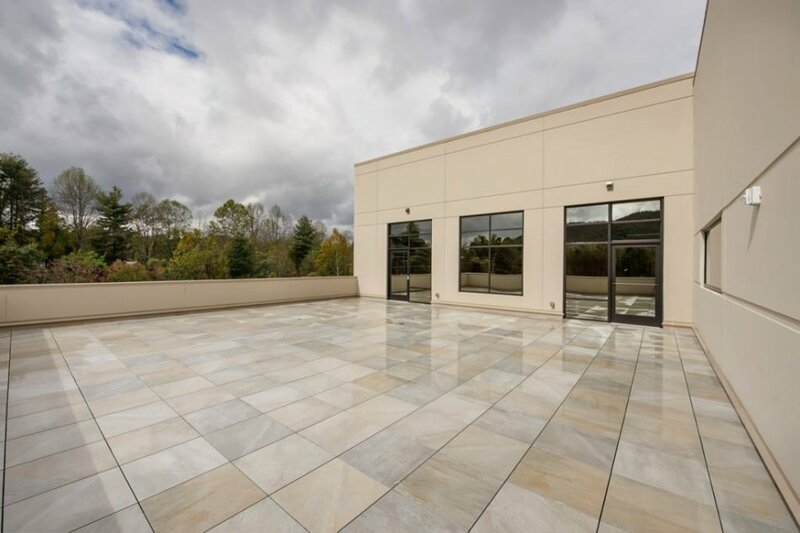 Porcelain Pavers are so versatile they can be used in practically every outdoor design application including; ground level patios, courtyards , garden areas and of course roof decks. 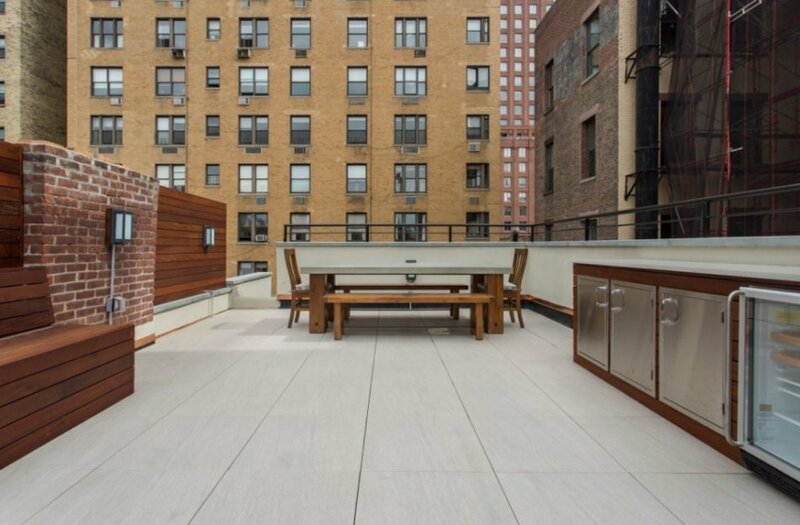 Porcelain pavers can be used on elevated decks with pedestals over any type of living space walk deck. We will guide you through this process with our in house designers. "on grade" Patios, courtyards, pavements or bare ground . Floating pavers over an existing surface such as an old concrete slab or brick courtyard is one of the easiest applications. You dont need very much surface preperation or messy thinset or grout. Area should be well drained and a clean surface. Use our rubber support spacer tabs in 3/8th or 5/8th to level the pedestals over the area. Shims can be used to level any low areas and they will add vibration dampening to create a solid feel. Start in the best corner and work your way out. Each tile is placed on the rubber supports and can be removed at any time. Go ahead and think creative and add your lights and irrigation or perhaps a gas line for a fire pit. Dry laying the pavers on a sand bed and gravel bed is the best recommended application for landscape paving, patios, courtyards and walkways where you have bare dirt and want to stay within that same grade. Decomposed granite leveled and compacted is a great sub surface for the pavers. No spacing is needed between the pavers, just make sure there is some slope for drainage for those rainy days. Laying the porcelain pavers over grass is best installed when the grass is completely removed along with a shallow layer of top soil. This will create stability as the paver sets into the the soil over time. We always recommend a small amount of decomposed granite to sit the paver in. Installing the pavers over concrete slabs with thinset, allows you to use your pavers in areas of high traffic such as driveways, garage floors, and ground level walk decks. Dont worry 2CM porcelain pavers being so resistant to cracking they can withstand incredibly heavy loads such as cars. Reenforced concrete is best and a 1/8th or 1/16th grout line is recomended for expansion joints. No special thinset is needed saving money and time. 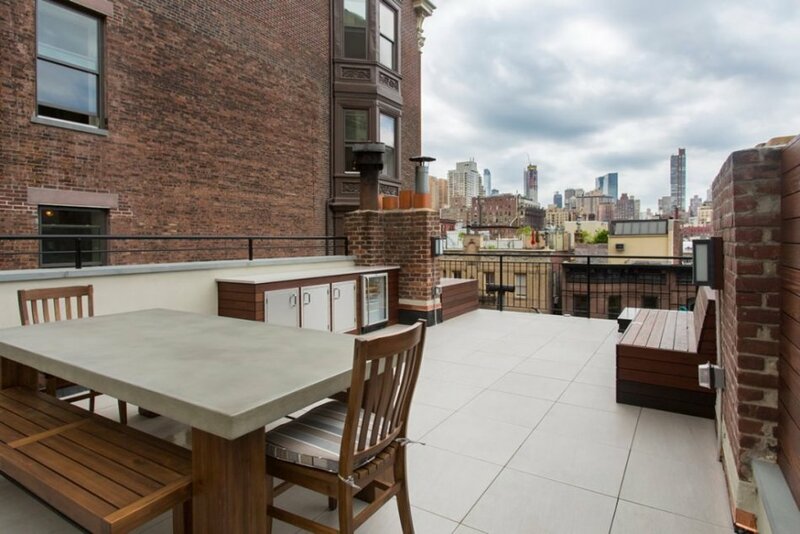 Living space roof decks or balconies has always been our specialty and is how Eco Arbor Designs came to be, how many times have we seen mortar bed decks be installed over roof surfaces only to leak and be removed within 10 years of installation. By keeping your floor modular is what gives the advantage and what we have always recommended since 2005. While all the others continued with the old way we forged ahead with a proven real solution. A sloping roof deck or balcony can easily be leveled with adjustable pedestals placing a support on each corner of the porcelain paver and in the center if needed. Open joints around each paver allow free drainage. Our porcelain pavers can be re-enforced with a mesh backing or a steel plate to elliminate any liability of failure. Electric puck lighting and irrigation can be laid directly under the pavers for a seemless walkdeck. This type of installation maintains your access to the surface for years to come should your waterproofing need attention. When trying to removedirt and debris, porcelain pavers are easy. We suggest scrubbing with a warm water acid free detergent. A soft or hard bristle brush will remove stubborn dirt from the texture of the paver. Using power washers in a correct way can help to preserve the paving and keep it in good condition, however it is suggested to use a spraying movement when holding the power lance at narrow angle, not directing the power of lance directly on the joints. Stains or discoloration on the porcelain pavers that are too stubborn to be removed with the above techniques can be removed with specific acid cleaning treatments to remove them. Take care and use a test tile, taking into consideration the percentage of acid concentration in the cleaners. 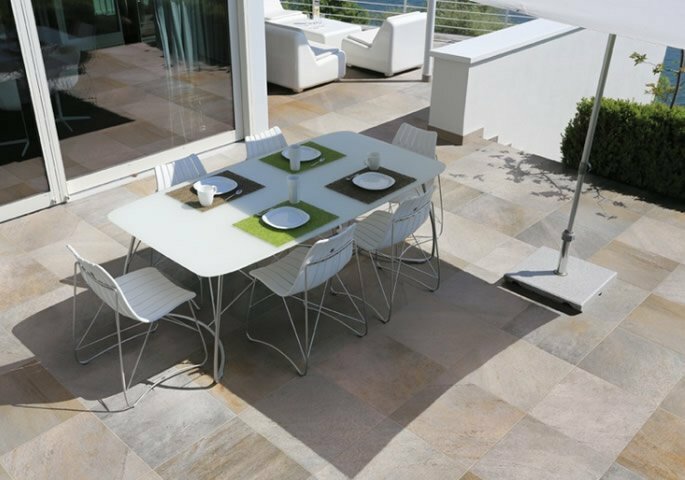 Whilst porcelain pavers are exceptionally resistant to staining and generally need just a wash with water or with a neutral detergent diluted with water, more stubborn stains may require some additional effort to be removed from the surface. We have partnered with the following manufacturers to create the most stunning portfolio of 2CM porcelain paver products. We stock our most popular colors and styles in both CA and NJ. Call us for pricing and availability. We specialize in large volume orders to construction sites. Purchase an used STRUCTURAL PORCELAIN PAVERS 2CM. Visit website for more information.